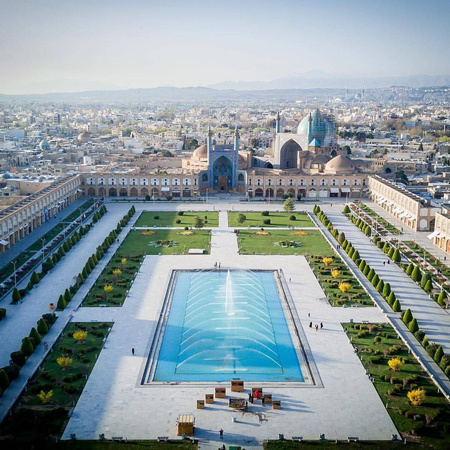 Esfahan (Sepahan) center of Isfahan province, with area‌Oh, about 250 The square meter is located at the heart of Iran's plateau. 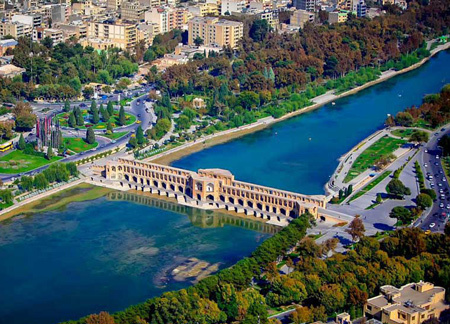 The climate in the city of Isfahan is semi-arid and temperate, with an average annual temperature of 16 ° C and an average annual rainfall of about 13 mm. 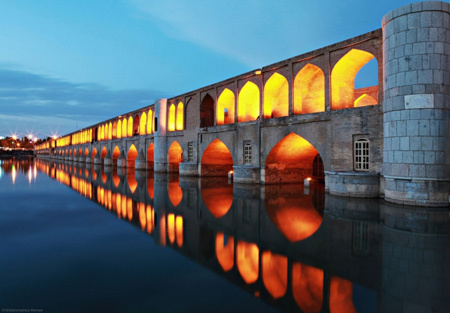 In general, Isfahan is a city of low water, but due to the Zayandeh River, agriculture can grow in this province. 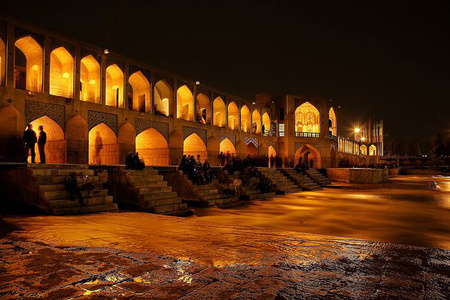 Isfahan in terms of Actually ‏Being in the geographic center of Iran and having a temperate, fertile soil and waterm;Enough breeder ‏The river (live), from ancient times to‏ The title of the place of residence has been considered. Probably from the Sassanian era, which the Army (Sphan) in Fertile plains around the city gathered to this‏ I have read Has been. In the 19th century. 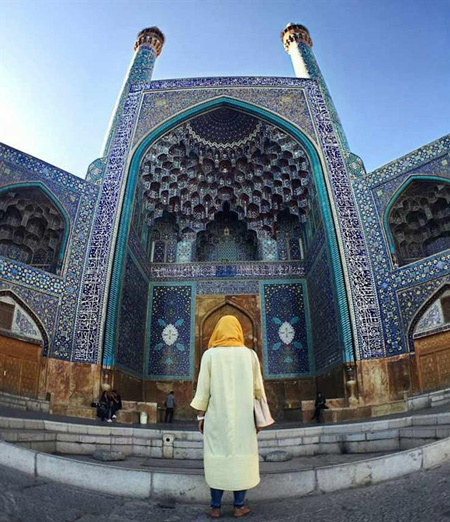 Ah Isfahan without war and bloodshed and by concluding a peace treaty The armies of Islam fell and became part of a vast land That Islam governs it‏ In the course of the three hundred years since then, this city is often Hand ‏به‏Hands on‏It was until The fourth century AH, at the time of Al ‏Ziar and Al ‏Bowie, to‏Capital title was used. In the fifth century, during the Seljuk period, The capital was a vast empire, its border with the river Sihon and its other border with the east coast Was the Mediterranean. City savage robbery by Timur Lane and murder ‏Its inhabitants in the year 789 AD. 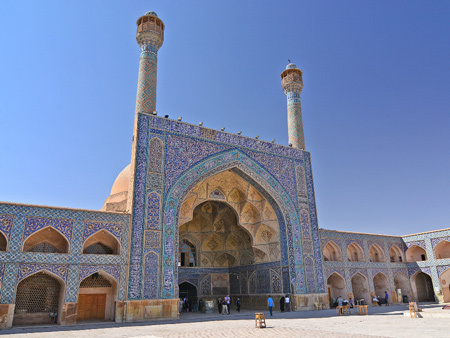 Ah Esfahan‏It broke. 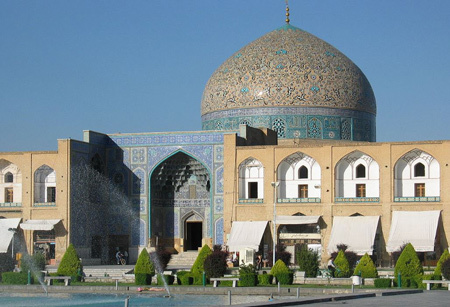 At the time of the first Safavid rulers in the tenth century AH,Esfahan was one of the major centers of business, culture and industry. 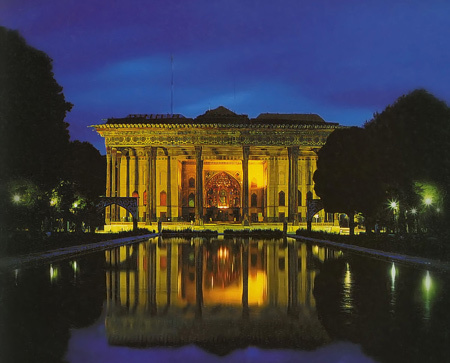 In ohلThe eleventh century (1006 AH) of the Shah's capital ‏عThe bass was transported from Qazvin to Isfahan and over a century ‏وThe city was the capital of the Safavid dynasty, and this is the mediator of world renown Enjoyed. 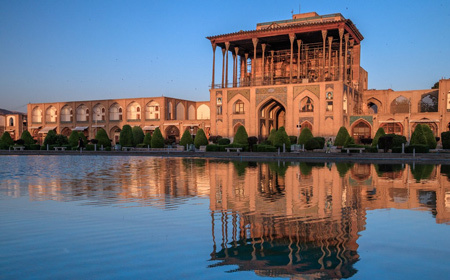 Isfahan city was selected as the first capital The culture of Islamic countries in 2005 among the people of these countries more than everFamous Has attracted many tourists. 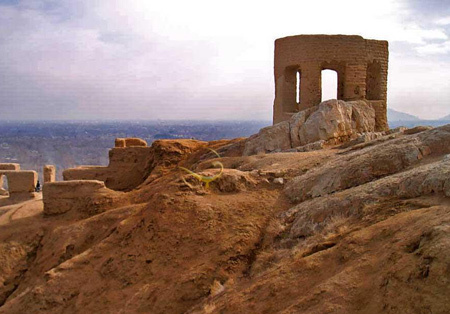 The city is considered to be the most important city in the country in terms of handicrafts that most of the country's handicrafts such as crochet, crochet, grave and ... are produced there, and tourists who are eager to make souvenirs of Iran are almost craft and souvenirs All regions of Iran can be provided at the margins of the role of the world and in the old market of Isfahan. Attractions Isfahan Tourism-Among the sweets in Isfahan, Gaz and Polkie are all aboute mosاt important local food of Isfahan in terms of Anobani, which is very much appreciated by travelers and tourists, is called Barani (Brioni), which is a meaty and very fat food and can be bought in most parts of the city. The main archaeological works of Isfahan date from the Safavid period and its most important tourist areas on the Zayandeh Rood border..
Supreme Qapu Mansion, Sheikh Lotfollah Mosque, Imam Mosque (Shah Mosque), Vank Cathedral, Manar Jbanan, Chehel Sotun Palace, Eight Paradise Palace, Four gardens, a fireplace, an old cemetery board Steel, MarketHistory of Isfahan, Square of the Universe, Bird Garden, Khaju Bridge, Bridge of the City, thirty-three bridges (Allah Verdi Khan) and ... from The most important points of view are the city of Isfahan. 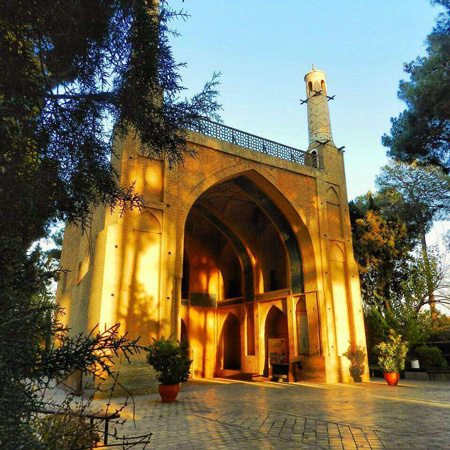 attractionsی Isfahan Tourism-Chehelsoton mansion in the early 11th century AH between the garden and the complex of buildings وThe gardens of the Safavid government were built. This mansion is mainly made for the official reception of foreign guests and ambassadors, in three stages and according to a single plan. The first stage of the main and big hall. The second stage of the mirror and the rooms of the two sides. The third stage is a column with 18 pillars and wooden ceilings. The name of Celeston is the sign of the plurality of columns and the reflection of the image of twenty pillars in the pool water. Wall paintings Under the supervision of the famous Safavid artist, Reza Abbasi, with its great character,The Iranian miniature style has been taken. 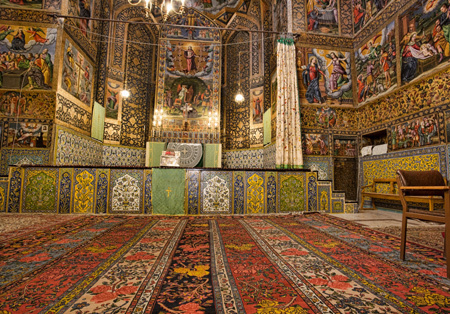 Four large indoor parlors show scenes of battlefields and feasts of the Safavid kings. There are two large middle drawings of the following extensions with similar themes, which are depicted by Sadegh Nakhash Bashi (artist of the Qajar period). Unfortunately, many of the paintings of the Safavid period have been destroyed during the reign of Zelda Sultan. 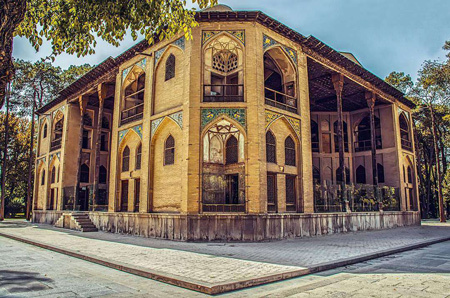 The delightful poems of the Najib Kashani, which are marked on the line of Mohammad Saleh Isfahani, on the forefront of Ivan Astandar, are such that this unique mansion was burned at the beginning of the 12th century and was restored during the reign of King Soltan Hossein Safavi. .
one of the most beautiful squares in the world is about 512 meters and a width of 160 meters. 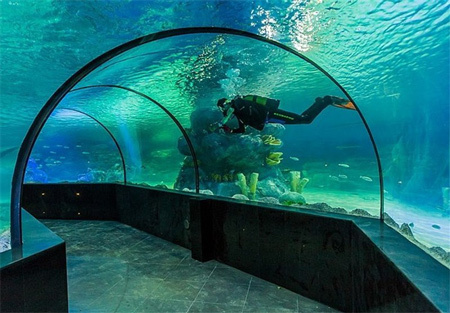 There are rooms in two floors of one size and shape. There are four unique monuments around the square. 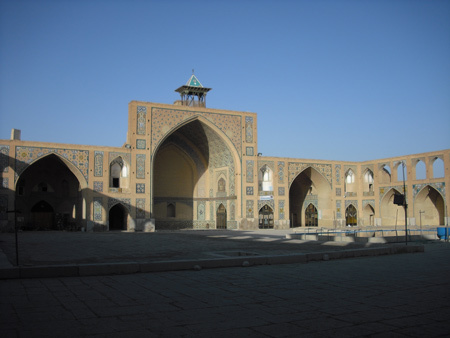 The magnificent Qapu mansion of Imam Mosque, Sheikh Lotfollah Mosque, and the head of the door of the Qaiserieh market, were in the middle of the main square, the land and two gates of polygon. 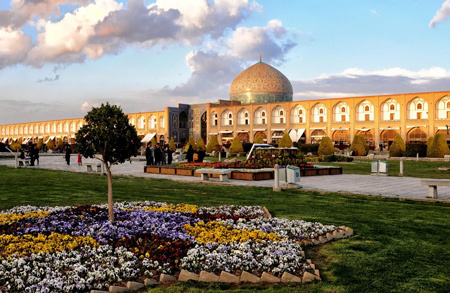 Today's Imam Square is one of the centers for the purchase of handicrafts and also the venue for holding many national and religious ceremonies. Friday prayers will be held every week in this field . Sardasht Qaiserieh in the north of Imam Square (the role of the universe)has been. This crypt is one of the most beautiful paintings of the Safavid era. From this scarlet, we enter one of the most beautiful markets in the world. 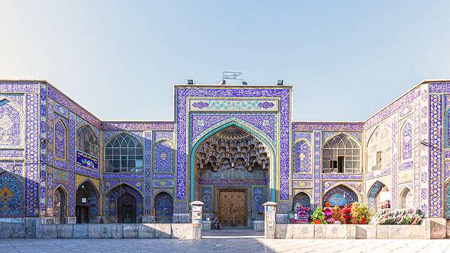 This market has been a center for selling expensive goods during the Safavid period, and representatives of foreign companies have had chambers in this place. 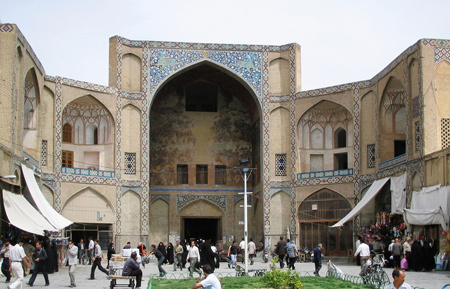 Isfahan Market is one of the largest markets in Iran that has different parts and sells items in every part of it. For example, handicrafts, gold and silver, rugs, shoes, and so on. A visit to all parts of the market takes hours . This palace was built in six floors in the 11th century AH Is . Each floor has a special artistic decoration. Important parts This palace, the third floor porch, the mosque pond in the o“ و تThe reception hall of the same class is decorated with the most beautiful type of painting and plaster. Sixth floor music hall and unique gypsum decorationIt's often artistic work by Reza Abbasi, the famous artist of that era done .